Next come celery to reduce inflammation and boost hydration, spinach for zinc and folate, and zucchini! 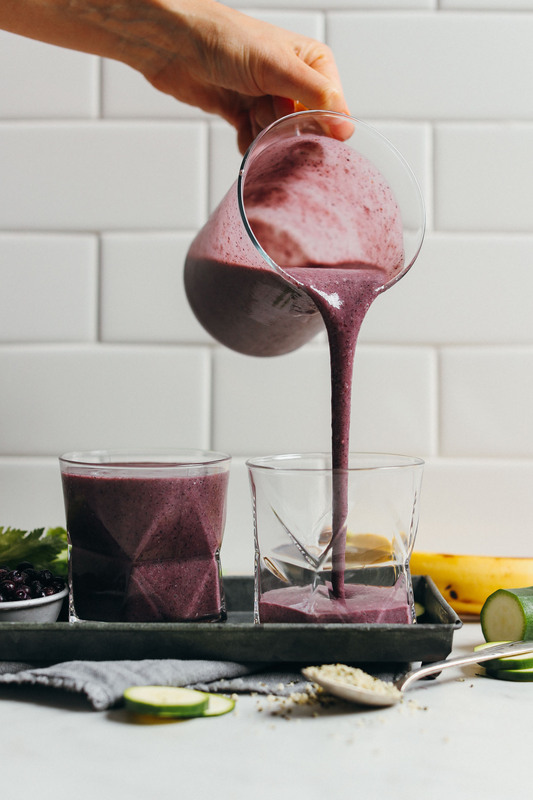 Zucchini is what makes this smoothie ultra creamy. And it adds plenty of fiber, antioxidants, B vitamins, and vitamin C! 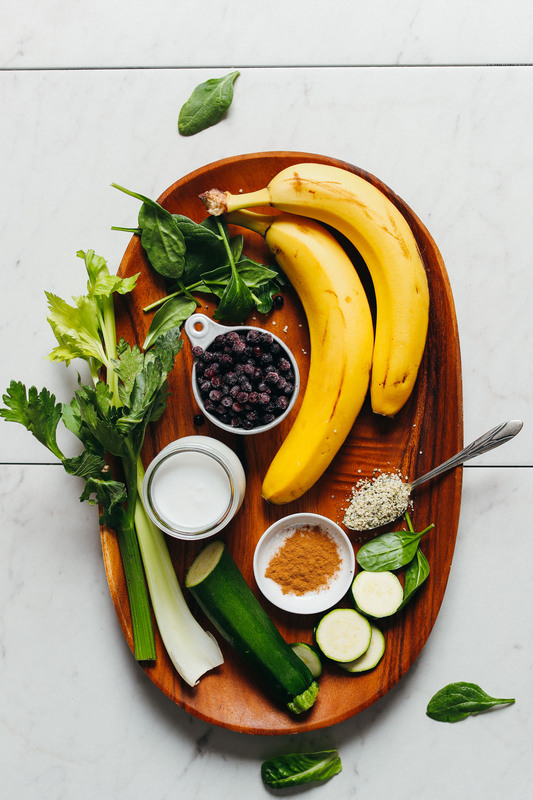 Next, add some hemp seeds for healthy fats, amino acids, and protein; cinnamon for blood sugar stabilization and anti-inflammatory benefits; and coconut milk for creaminess and antibacterial benefits. Look at that color! Swoon. This would make the perfect quick breakfast or afternoon snack. Add whatever other add-ins you prefer for more nutrition and flavor. I love the addition of cinnamon for antioxidants and spice. And I usually toss in maca for hormone balance and feel-good vibes. 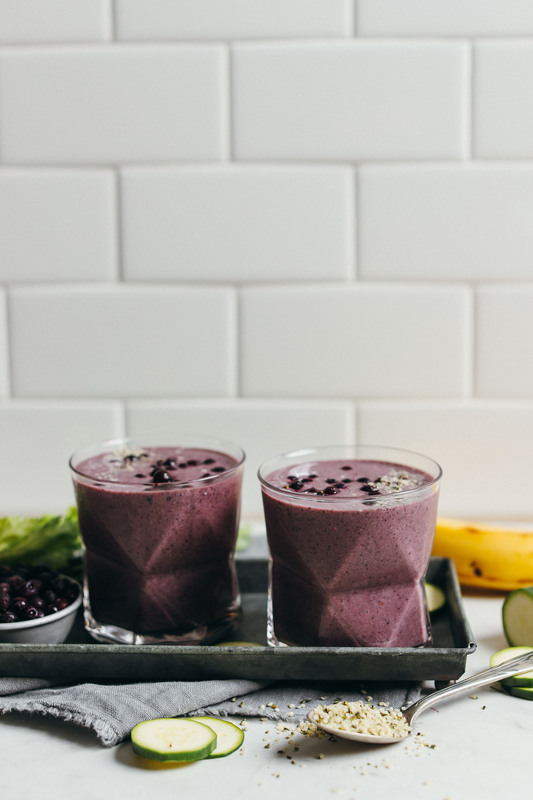 If you love smoothies, be sure to check out our Ginger Colada Green Smoothie, Blueberry Almond Butter Smoothie, Ginger Berry Smoothie (banana-free! ), and Hide Your Kale Smoothie! If you try this recipe, let us know! Leave a comment, rate it, and don’t forget to tag a photo #minimalistbaker on Instagram. We love seeing what you come up with. Cheers, friends! 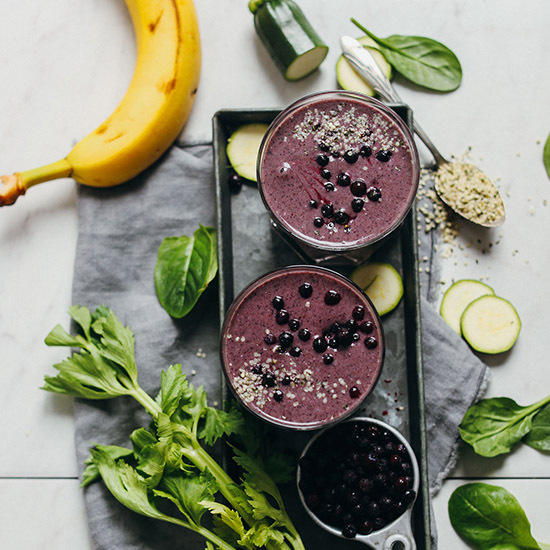 Creamy, nutritious zucchini smoothie with bananas, blueberries, greens, and hemp seeds! 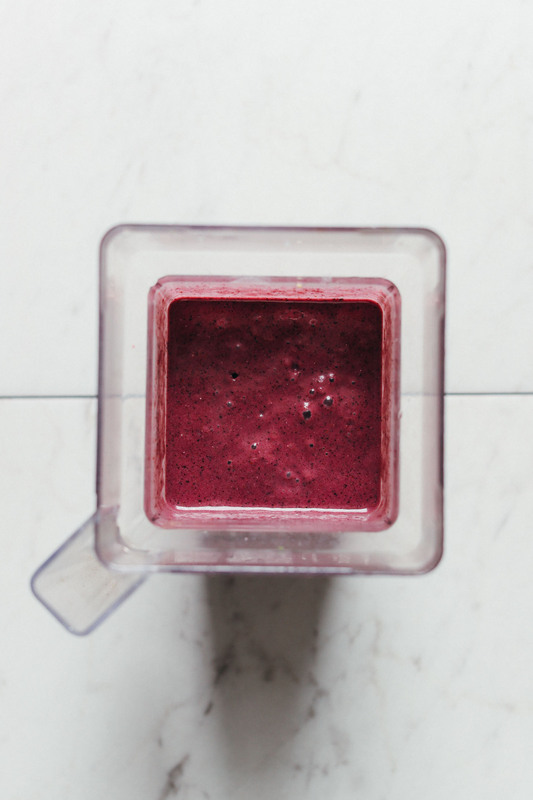 Loaded with 8 whole ingredients, plus 1 blender and 10 minutes required! Entirely vegan, gluten-free, and loaded with health benefits. 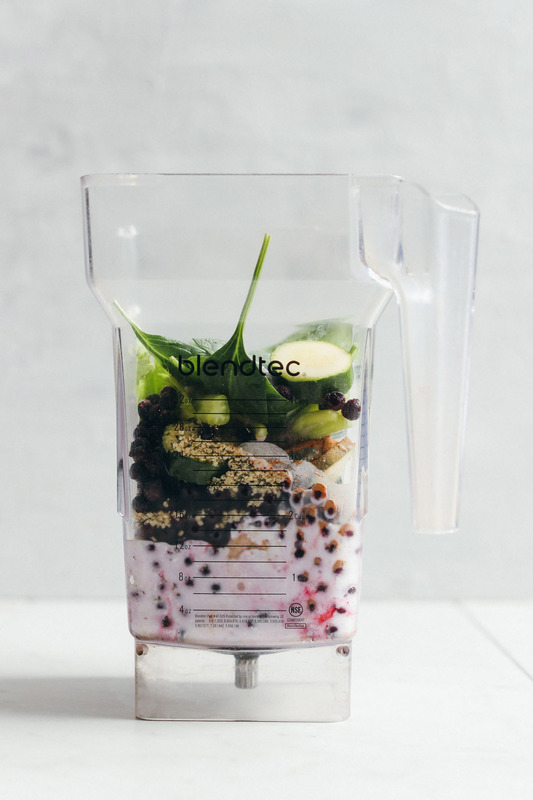 Add all ingredients to a high-speed blender and blend on high until creamy and smooth. Taste and adjust flavor as needed, adding more cinnamon for warmth/spice, banana for sweetness, or zucchini for creaminess. Divide between 2 serving glasses and garnish with blueberries and hemp seeds (optional). Best when fresh. Store leftovers covered in the refrigerator up to 24 hours. *Nutrition information is a rough estimate for 1/2 of recipe.